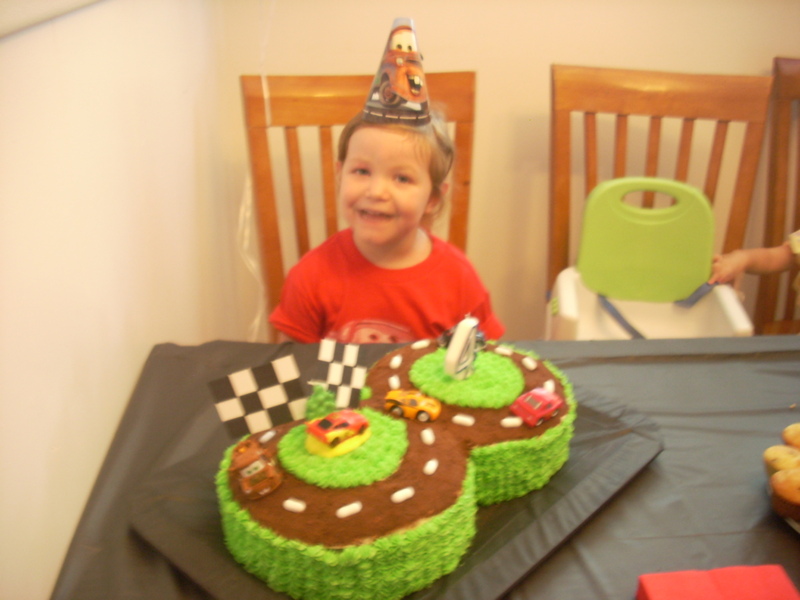 Here are the directions for the Cars Racetrack cake I made for Big Sis’ 4th Birthday. After baking and cooling the cakes, I used a large serrated knife to level the cakes. Then I frosted between the layers with white buttercream and pushed the cakes together. Then I spread a ‘crumb coat’ of white around all four layers. I used a star tip (maybe #29) and a pastry bag to pipe the grass around the racetrack. I put bowls in the center of the racetrack while I sprinkled the crumbs. 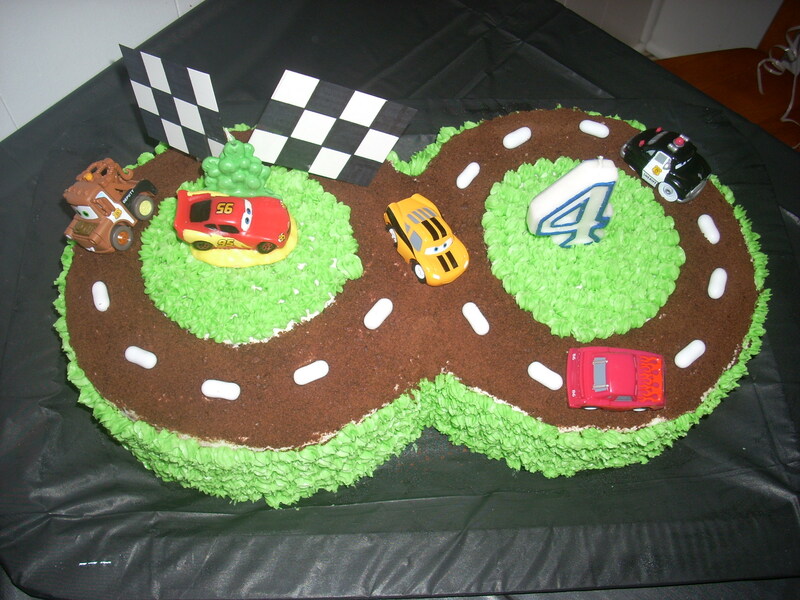 Then I finished piping the grass in the center of the racetrack. I used the white Good & Plenty candies for the road dividers. I made the checkered flags and adhered them to toothpicks. We put the cars on top, and Voila!